Prime Minister Sheikh Hasina will place some specific proposals at the 73rd Session of the UN General Assembly in continuation of her previous five-point proposal for resolving the Rohingya crisis, Foreign Minister AH Mahmood Ali told a press conference at the Foreign Ministry in Dhaka on Thursday. The Prime Minister will address the 73rd UNGA at the UN Headquarters in New York in the evening (local time) on September 27 and hold a meeting with UN Secretary General Antonio Guterres on the same day. Apart from the Rohingya issue, the Prime Minister will also discuss world peace, safe migration, the rights of Palestine people, women empowerment and climate change, the foreign minister said. 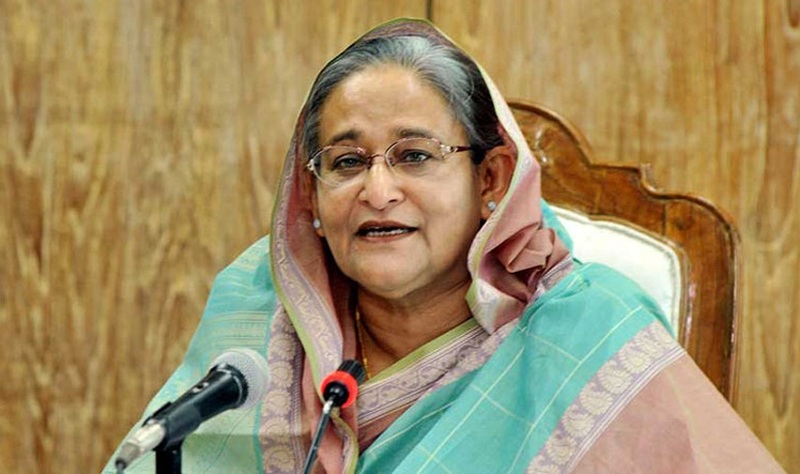 “She will also present Bangladesh’s different socioeconomic advancements, including establishment of digital Bangladesh and the country’s ongoing democratic process to world leaders,” he said. Earliar, the Prime Minister arrived London on Friday afternoon en route to New York on a weeklong official visit to the United States to attend the 73rd Session of UNGA. After making nearly two-day stopover in the British capital, the prime minister will leave London for New York on Sunday morning by a British Airways flight. The flight is scheduled to reach Newark Liberty International Airport, New Jersey, at 1:40 pm local time. She is scheduled to reach New York on September 23. The general debate of the 73rd session will be held from September 25 to October 1. The prime minister will return home in the morning on October 1 via London.